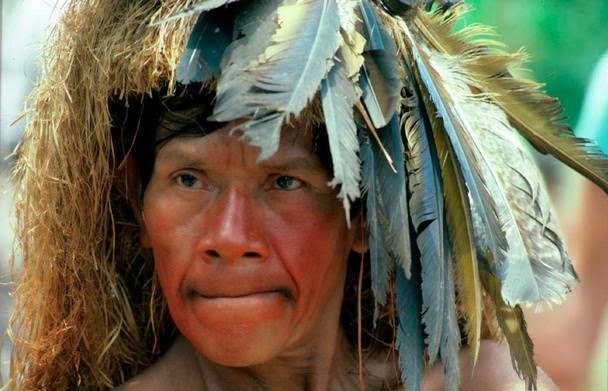 Indigenous human cultures are going extinct faster than many plants and animals. Fully 50 percent of the more than 6,000 languages spoken today will cease to exist in our lifetime. With them will go the knowledge, stories, customs, and footprints of entire cultures. Cultural anthropologist and author Wade Davis guides an enlightening and gripping journey through these ancient but still living worlds, demonstrating how our world is richer for their presence and contributions. Wade Davis’ work has taken him from the Amazon to Tibet, from the Arctic to Africa, from Australia to Mongolia, from Polynesia to New Guinea, living for extended periods among indigenous communities. He is the author of 13 books including the bestselling The Serpent and the Rainbow and his most recent, The Wayfinders: Why Ancient Wisdom Matters in the Modern World. Responses to "The Wayfinders: Why Ancient Wisdom Matters in a Modern World (VIDEO)"